Home World Who's Tougher? 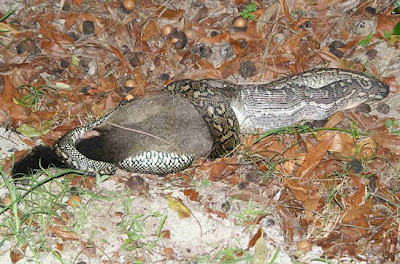 - The Possum Or The Python? Who's Tougher? 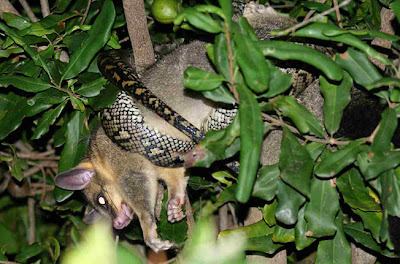 - The Possum Or The Python? 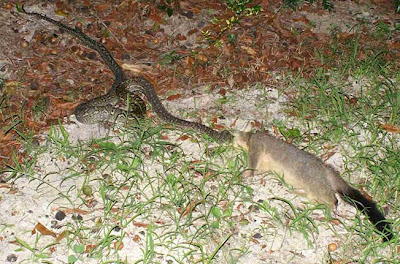 A python and a possum have fought a battle to the death in a suburban back yard. Who won? - Actually it was a 'no contest'. 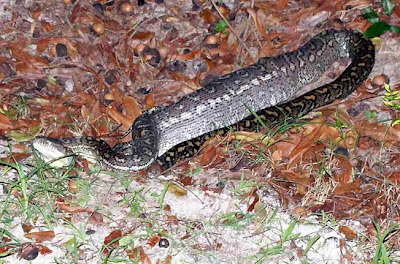 In the end, the snake left the suburban backyard just a little bit heavier. Images taken @ 2200 at night using a Sony 200 Digital Camera by Peter Liddle. 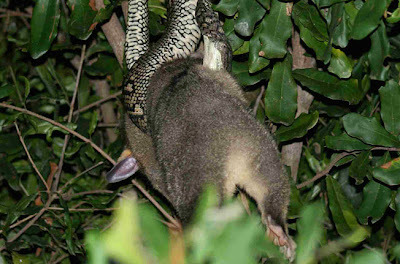 Also shot video footage a couple of years previously of large Pyton eating a flyingfox in his fron yard. 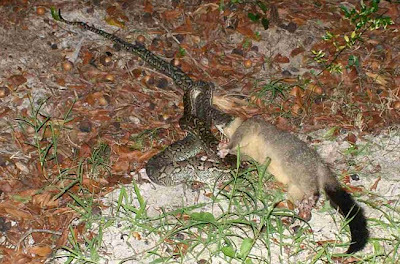 It took about an hour for the snake to finish the possum and go of to digest its meal. Feel free to send the images to who ever is interested. 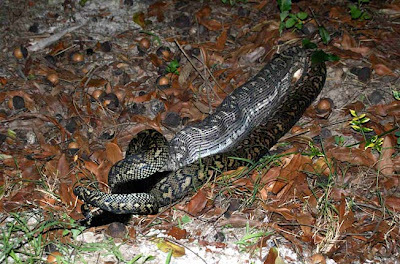 I love pythons, and other snakes. Could you send the pics to orcayiffing@yahoo.com so I can add them to my feeding habits research files? This is hilarious. I have something eating my macadamia nuts & trying to work out if it is possom or rats. can you please tell me what is left of the shell when the possom has eaten it please ?